Enjoy an evening of visual art on Saturday, April 6, from 6:00-9:00 p.m., as Encinitas civic and local art galleries swing open their doors at Art Night Encinitas. The new event will celebrate the city’s diverse visual art scene at seven participating locations and is free to the public. Enjoy live music and refreshments at several locations. “Art Night Encinitas was conceived by the Commission for the Arts in 2018 as a way to bring focus to our civic art galleries and thriving visual art scene,” said Commission for the Arts Chair Collette Stefanko. In 2019, 47 exhibits by local artists will be presented in the City's three civic art galleries along with a myriad of artists at participating galleries. SHUTTLE BUS -- Catch a ride on one of the shuttle buses which will transport you to and from all 7 locations. It's free! Convenient parking is available at City Hall, Encinitas Community Center and the Encinitas Library. The intent of the new program is to bring recognition to the city’s visual art program and benefit local galleries and artists through the sale of artwork. Our thanks to April Art Night Encinitas Sponsor: NAPIZZA. Upcoming Art Nights will take place on Saturdays, 6-9pm on June 1, August 3, October 5 and November 23, 2019. 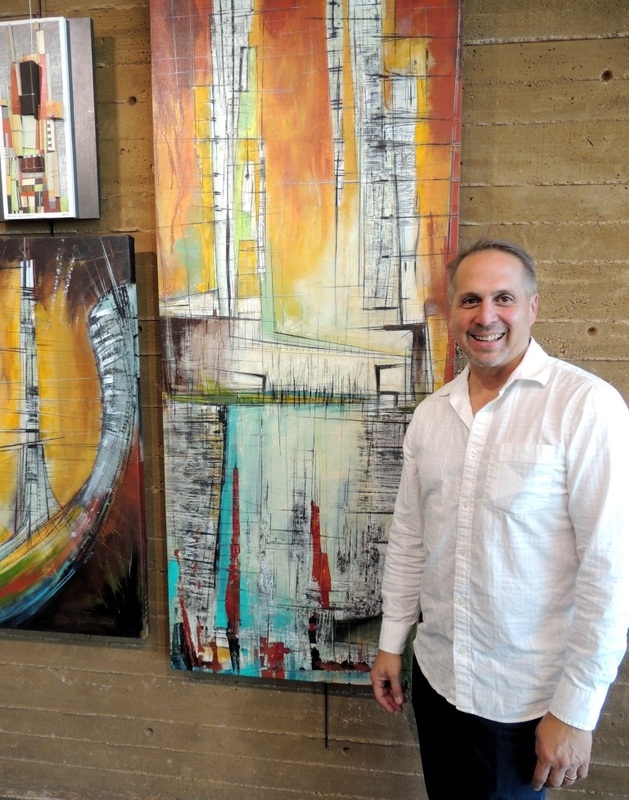 The exhibitions are a service to local artists, providing economic benefit from the sale of art and exposure to a wider audience while beautifying public buildings in Encinitas. The Civic Arts Program, established in 1998, serves artists, arts organizations, and the community, through programs in the visual and performing arts, and is overseen by the Cultural Arts Division and Commission for the Arts. For more information on the visual art program, or to apply to mount an exhibition in 2019, please contact Arts Program Assistant Cheryl Ehlers at (760) 633-2748, or email. The City of Encinitas is seeking artists for individual and group exhibitions of two-dimensional (2-D) and three-dimensional (3-D) artwork. In 2020, the city will mount a total of 47 art exhibits. All exhibitions are for 2 months. Artists, both amateur and professional, are invited to submit an application for consideration. Click the links for exhibit information and photos of the galleries. The exhibition program is open to artists who live in the city of Encinitas and San Diego county who are age 18 or older. Amateur and professional artists are encouraged to apply. Applications to exhibit in 2020 are accepted from January 1, 2019 through October 15, 2019. A Visual Art Selection Committee, comprised of gallery directors, visual art instructors and professional artists, will jury the applications and determine the exhibit schedule for the following year. Artist notification begins in November. Click here for the 2020 Application. The deadline to submit is October 15, 2019. 1) Complete a Waiver of Indemnity and Liability releasing the City of any liability from artwork damage, loss or theft. 2) Publicize and promote the exhibit and Opening Reception to their clients, contacts and the media. 3) Be responsible for installation and de-installation, with the assistance of Cultural Arts Division staff. 4) Provide wall signs for each artwork listing: title, media, year, artist name, price or NFS, phone number, email, and website. The sign is placed to the bottom right of each work. 5) Participate in Art Night Encinitas, the City’s new bi-monthly artist reception for all artists currently exhibiting in one of the civic art galleries. Art Night will take place on a Saturday from 6-9pm, on February 23, April 5, June 1, August 3, October 5 and November 23, 2019. Private artist receptions are no longer being hosted. All income from the sale of art goes to the artist. There is no gallery commission. The exhibition program is a service to Encinitas artists and exists to promote the local artist community. As such, artists are encouraged to be flexible in their pricing. Art sales are by mutual agreement between the artist and purchaser. Please note: work that is sold must remain in the gallery for the duration of the exhibit. The artist promotes the exhibit to their clients, friends and the media—a Media Contact List is available from the Cultural Arts Division. Exhibit information is included in the City’s weekly arts e-newsletter, sent to 22,000 subscribers in the community, the monthly Encinitas Arts & Events Calendar (online and in print), and on the City website.